Some of his great work became best known for his experience as a designer for Mercedes-Benz. This opportunity gave to Heiliger a good recognition within the design industry. Heiliger also lectured at the “Hochschule für Gestaltung in Offenbach”. In 1978, Stefan Heiliger created his own design studio and has been collaborating with numerous international furniture manufacturers since then. 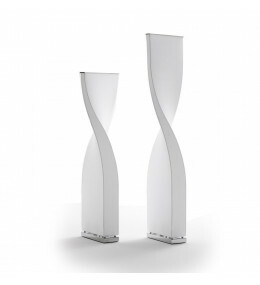 Twisty Floor Lamp has a metallic frame and a washable white translucent elastic fabric diffuser. 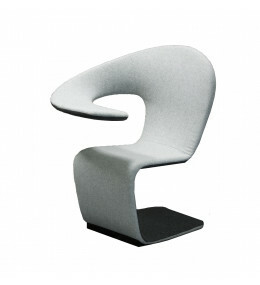 Question Mark Armchair has a 360° swivel function with return mechanism. Winner of the Reddot Design Award. 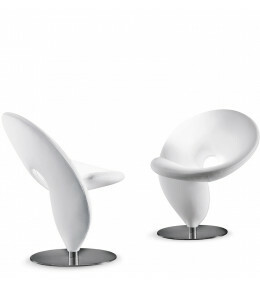 Aleaf Chair's quirky sculptured work surface via its unique design is perfect to support your notebook or tablet.